The Cascadia Subduction Zone Fault (also known as the Cascadia fault) is 1,000km long convergent plate boundary that runs from Cape Mendocino in Northern California to Vancouver Island in British Columbia. It is where the Juan de Fuca tectonic plate moves beneath the North American Plate. 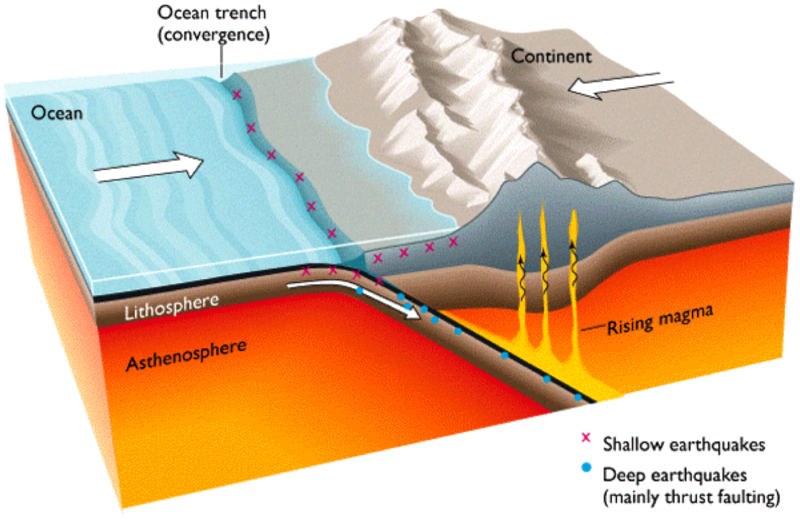 Great Subduction Zone earthquakes are the largest earthquakes in the world, and are the only ones that can generate earthquakes greater than M8.5. The Cascadia subduction zone has produced magnitude 9.0 or greater earthquakes in the past. The last known great earthquake in the northwest was the 1700 Cascadia earthquake, estimated at M 8.8-9.2. Geological evidence indicates that earthquakes of M>8 may have occurred at least seven times in the last 3,500 years, suggesting a return time of about 500 years.